The Japanese brand of fine audio electronics Onkyo has come up with a new budget option. 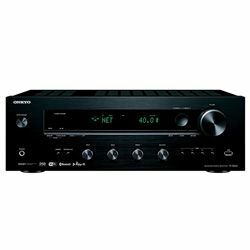 The AV receiver Onkyo TX-8260 is affordable and reliable, yet extremely boring and somewhat basic. If you care about the price and energy consumption it might be just what you need. A very simple intuitive menu makes it great for the whole family. 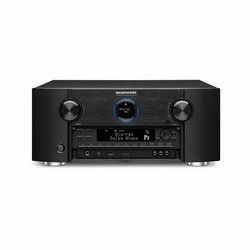 Is this AV receiver great? Yes. Do we like it? Not really. 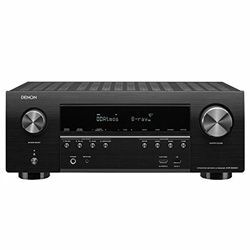 Check out the Onkyo TX-8260 review to see if you need to have this receiver in your house. The AV receiver looks very modern and stylish. It has a black display with white lettering. The panels have a matte black metal finish with matte metallic buttons. All buttons are smooth and round. Overall the look is not symmetrical although very cohesive. Onkyo TX-8260 is pretty power saving with its operational power being only 310 W and standby power consumption is 0.15 W.
Do not try to find any built-in decoders for there are none. There are no Dolby or DTS, forget them. If you care for some modern cool technologies, look elsewhere. Built-in timer and clock are available. 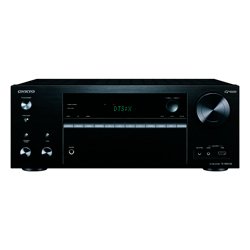 Onkyo TX-8260 plays all major types of audio formats. You can play Apple Lossless, AAC, MP3, WAV, WMA, FLAC. The only missing format is AIFF. The performance is good; this receiver behaves really well just like any other Onkyo product. You do not have that many cool modern options or connections but the existing features work amazing. You get to enjoy a good clear sound with no surrounding sound effects. You do get to have a stereo of course. There is no digital sound processor. Onkyo TX-8260 specs are also pretty modest; you will not find any cool modern features here. You do get to enjoy a single subwoofer input, one phono input, and one USB. There are 7 AV inputs, 2 optical digital inputs, 2 coaxial digital inputs. There are no optical, coaxial or HDMI outputs. It works with Sonos and can be a part of your Sonos home cinema. Onkyo TX-8260 also works with Chromecast so you can run music from your phone or computer. Wi-Fi, Bluetooth, and USB are all available. This means that you can run music streaming services like Spotify, Pandora, Amazon Music, Deezer, Tidal etc. The setup might be quite challenging as the guide could have been clearer and the Wi-Fi alignment could have been easier and simpler. 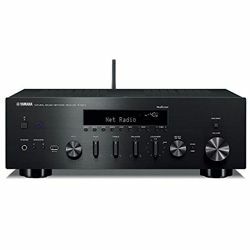 But if you have used AV receivers before things will be simpler for you. If you think about some customer support help, unfortunately, that is not an option as company reps are really hard to reach. The best advice I can give you is you should buy it if you are on a budget and appreciate durability and efficiency. Onkyo TX-8260 is pretty affordable for a luxury brand product and will serve you well for the years to come. 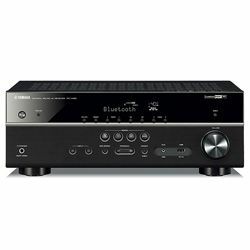 You might get tired of it pretty fast as it is a pretty basic option but if you are not a tech-savvy person this AV receiver might be good for you.